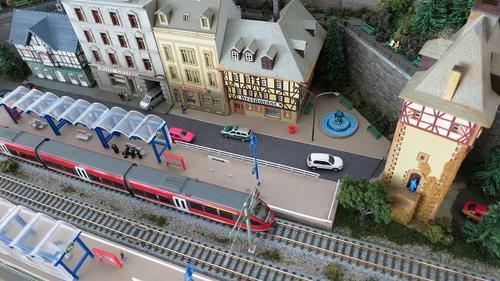 This module depicts a German S-Bahn (heavy rail rapid transit) station, and is loosely inspired by Heidelberg Altstadt station. 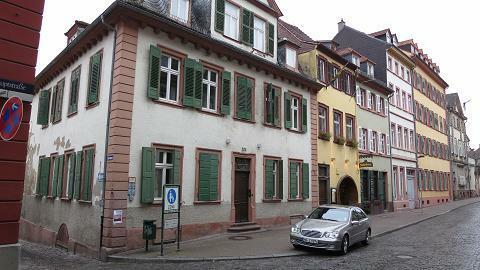 (Altstadt = "Old Town", or historic city centre). This was originally built by Glenn M, a former member of NVNtrak, and I acquired it when he moved away from the area. Glenn built the retaining wall at the rear, but the foreground scenery was sparse, consisting of just a small American-style station and a road crossing. The trackwork included a Kato double crossover, but I removed this as I have plans to use it elsewhere. 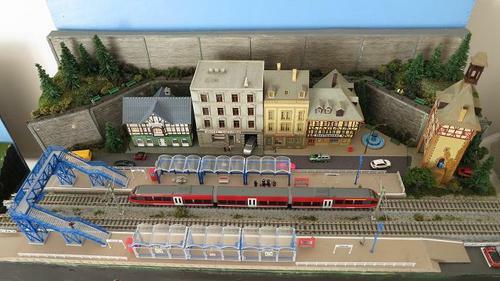 The new station is a Kibri kit, actually a model of Goldberg station in the Stuttgart area, but many S-Bahn stations have a similar appearance. 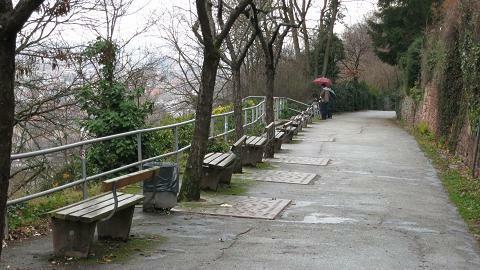 Other aspects of Heidelberg included, to give a generic impression of the area, are a city gate, cobblestone street, historic city buildings, and the Philosopher's Way, which is a walking trail on the other side of the river from the station in the real world. 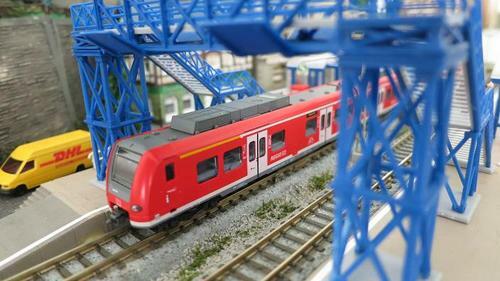 Modern S-Bahn trains are typically articulated train sets with short length cars - these look good running on T-Trak. The ET425 type is a ubiquitous sight throughout Germany, and Kato produced an N scale model in early 2012. ET425 passing under the pedestrian overpass. 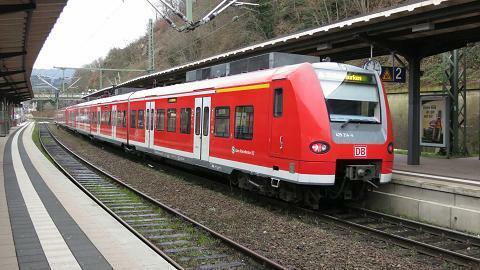 ET425 at Heidelberg Altstadt station. 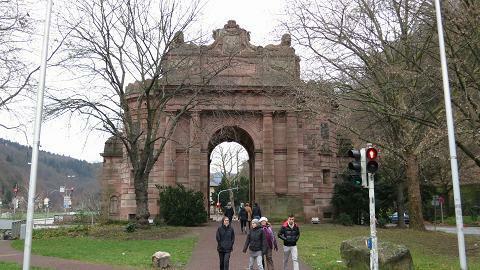 Heidelberg city gate, which is next to the station.